She likes pasta with her salads, lots of pasta. Fatty Patty is a glutton for glamour. 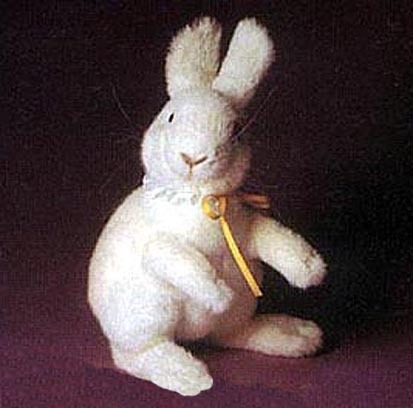 Her supersoft white acrylic fur is imported and her limbs and ears are of fine wool. Her nose and ears are lined with pink pigskin. She has blue glass eyes and real horsehair whiskers. Her pivoting head sits above a satin collar.